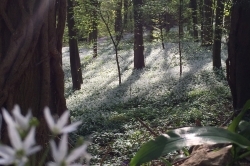 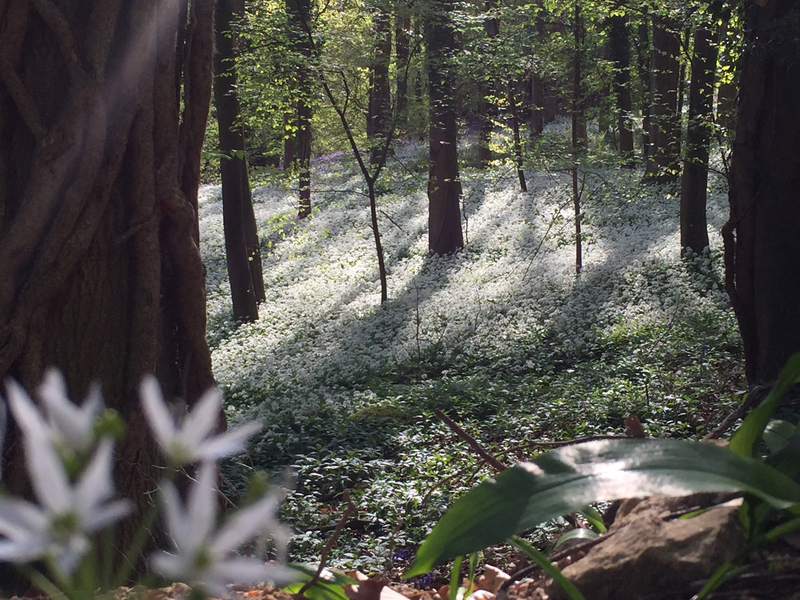 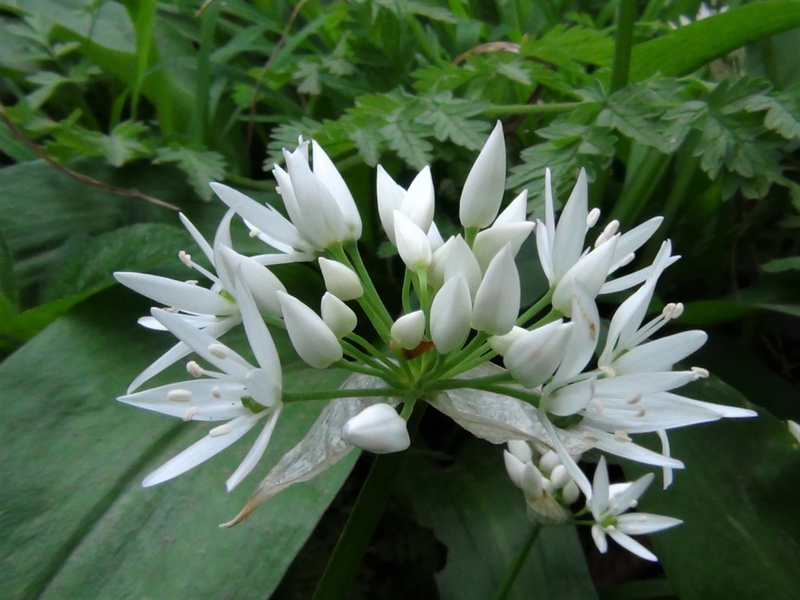 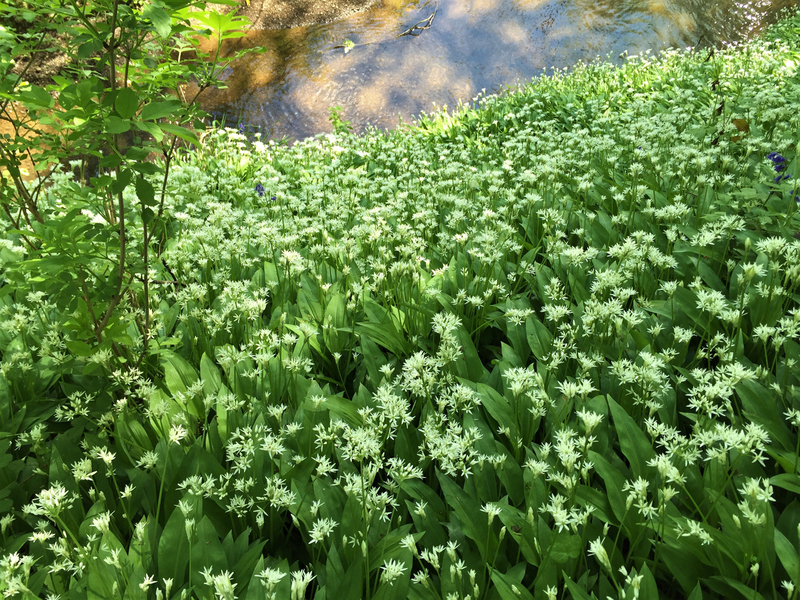 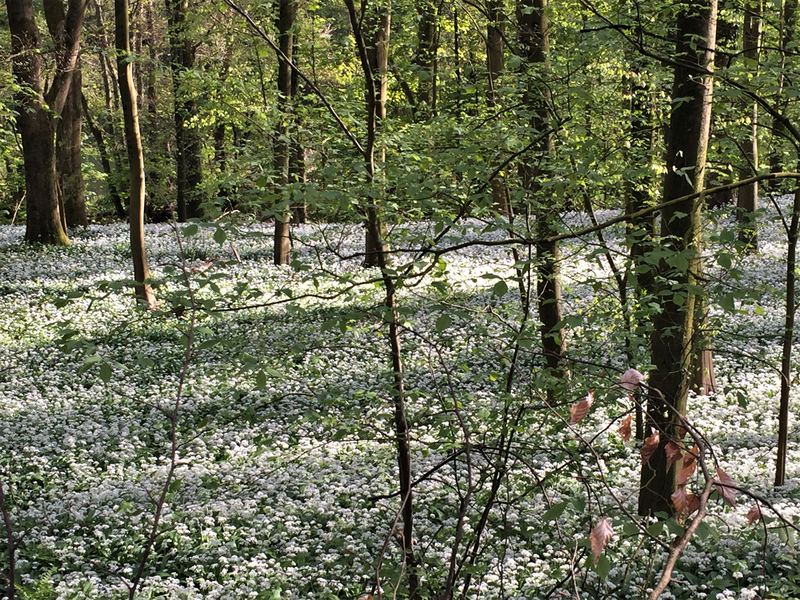 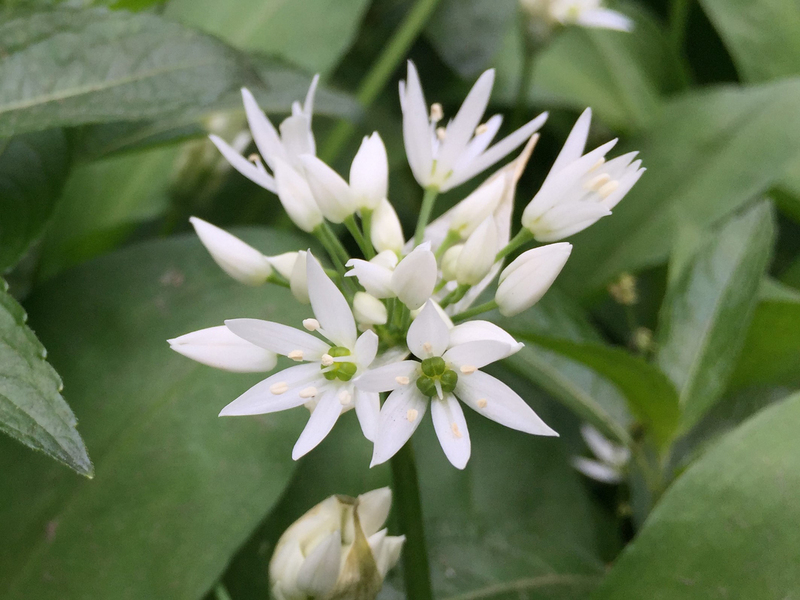 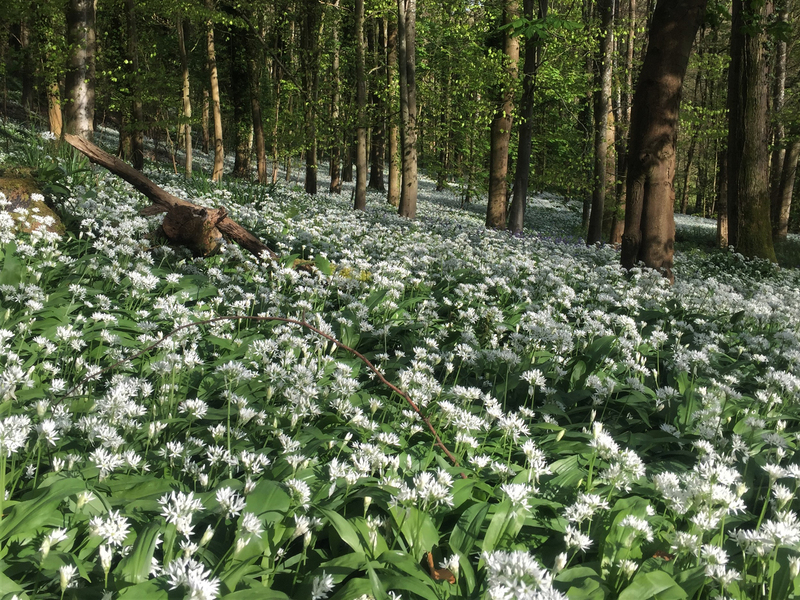 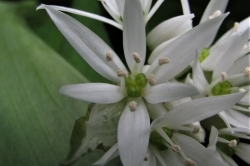 The flowers of Wild Garlic can turn the woodland floor white and green in Spring. 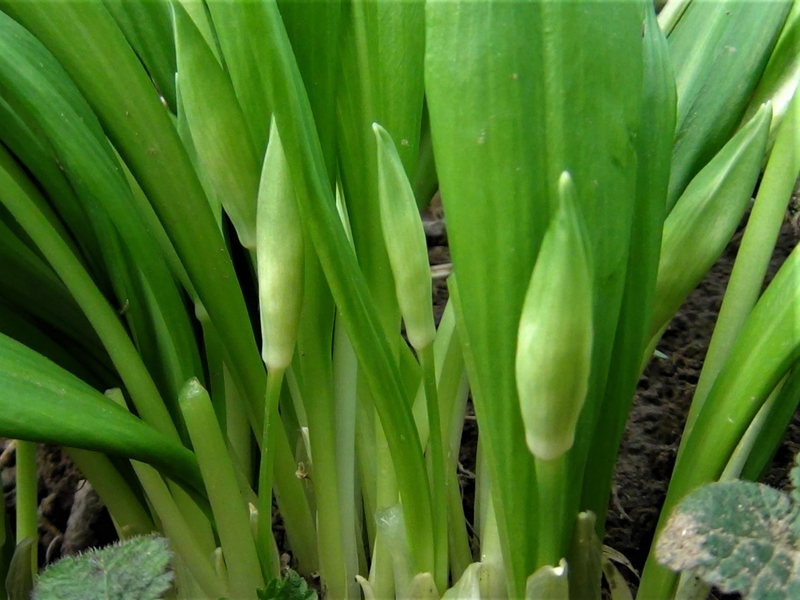 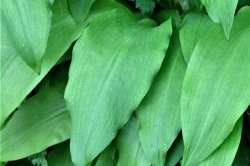 From as early as February through to June, Ramsons make up a large part of our diet here at Wild Food UK and are used in pestos, pancakes, soups, stews, vegetable rissoles and anything you would normally use garlic in. 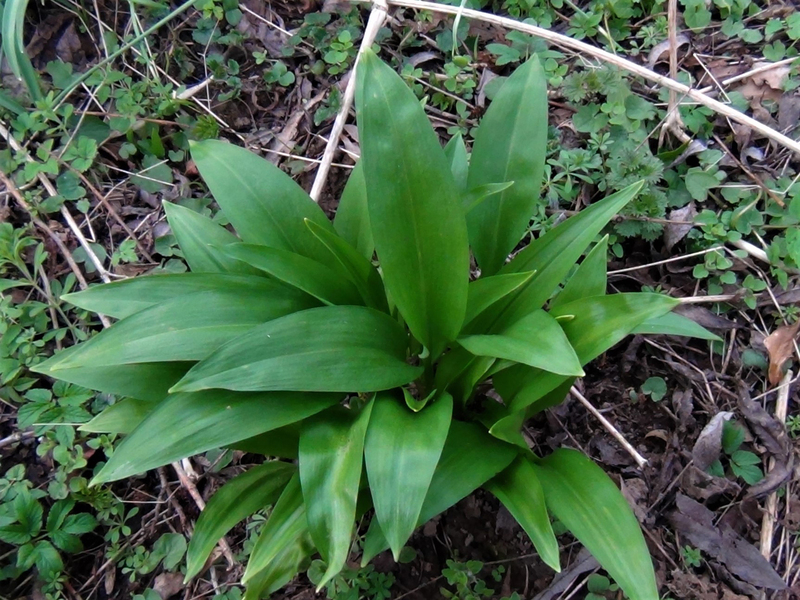 Has long, broadly lanceolate, green leaves with a single main vein, although when young the leaves are narrower. 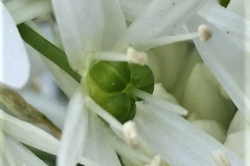 Globe shaped groups of tiny white flowers on the end of the stem. 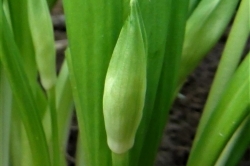 Green sheaths over the flower. 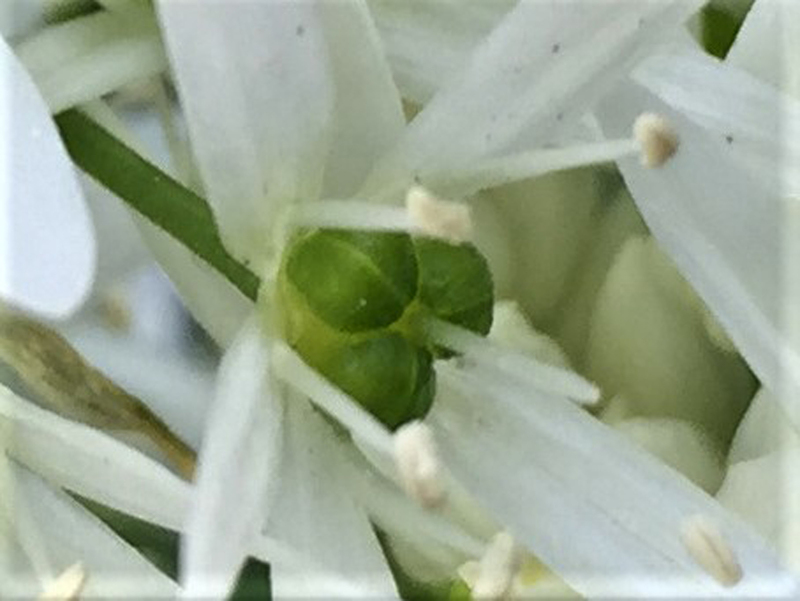 The seeds are contained in small, triple seed pods in the middle of the flower. 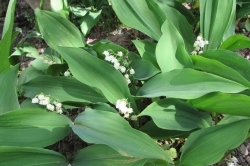 These start green and can be eaten, by the time they have turned black, they aren’t poisonous but will break your teeth. 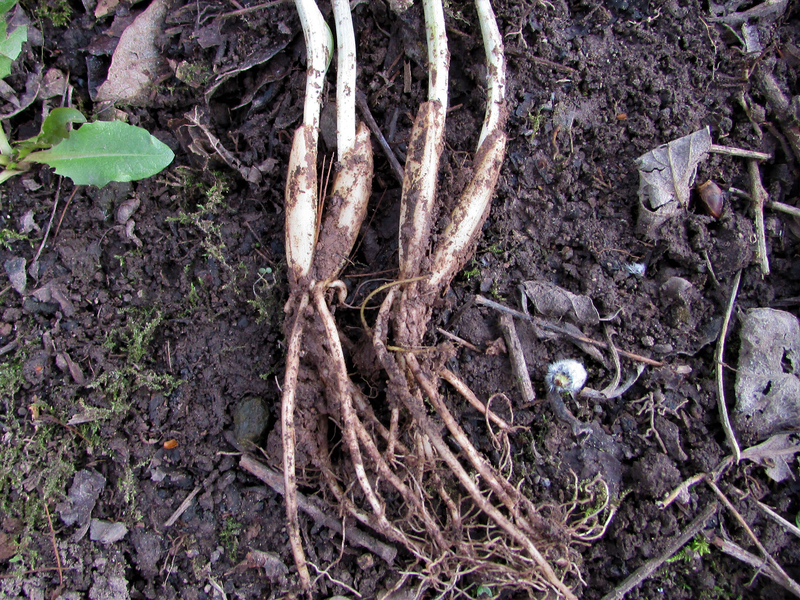 Has a fairly fine root system, not really worth collecting. 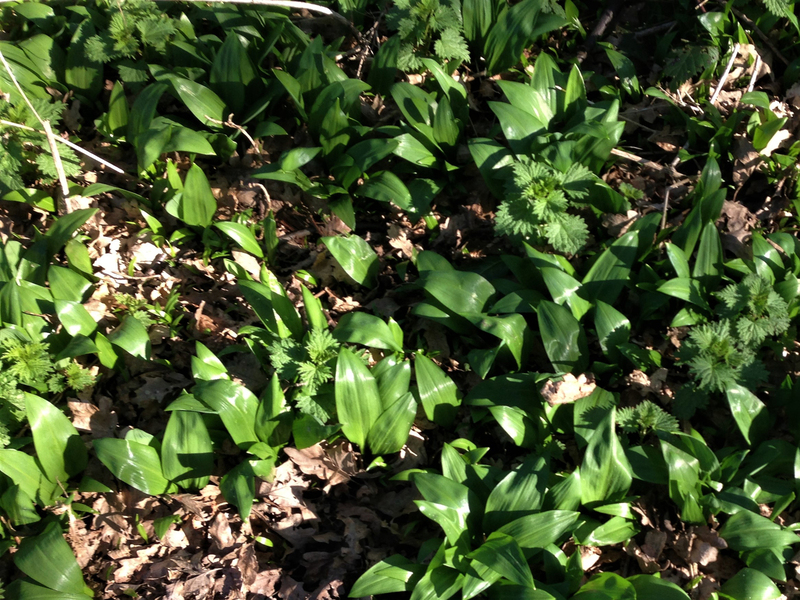 Damp, acidic, deciduous woodland particularly near to streams and damp ditches. 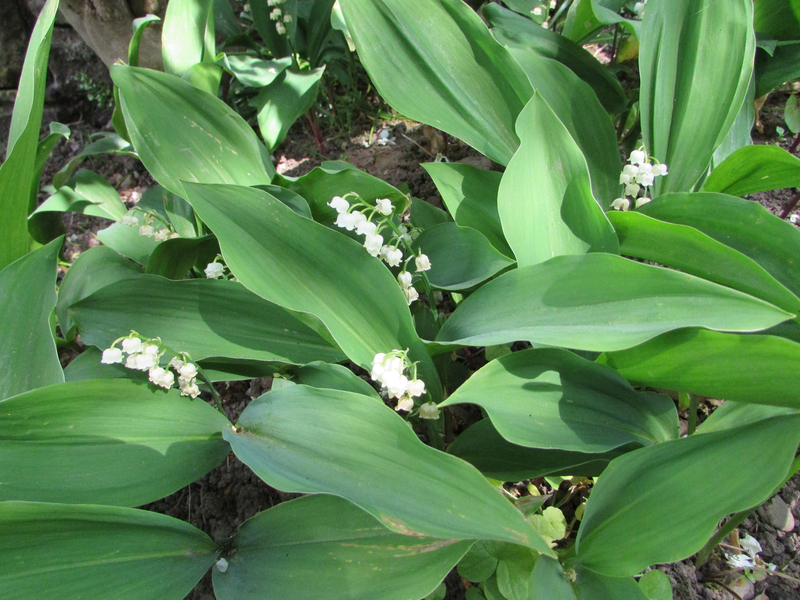 With its pungent smell its very hard to confuse this plant with anything else although it does look like Lily of the Valley, pictured, which is poisonous but does not smell of garlic. 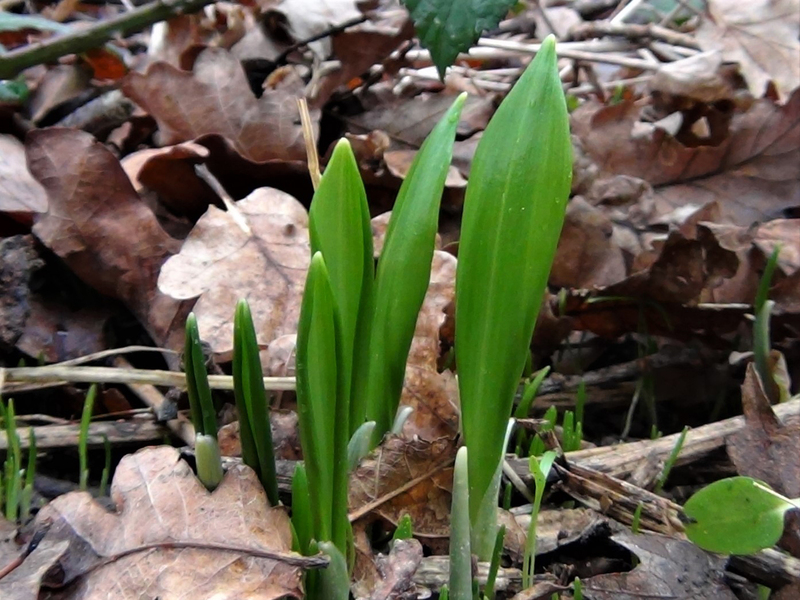 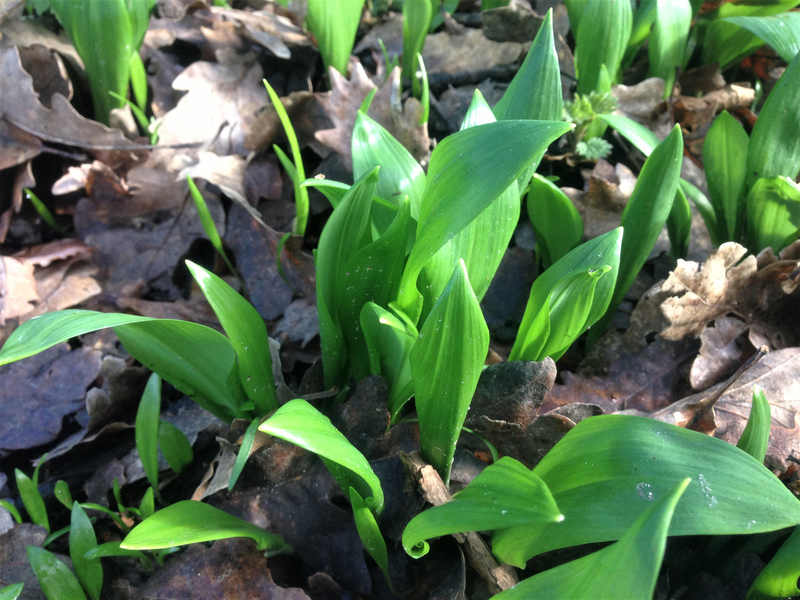 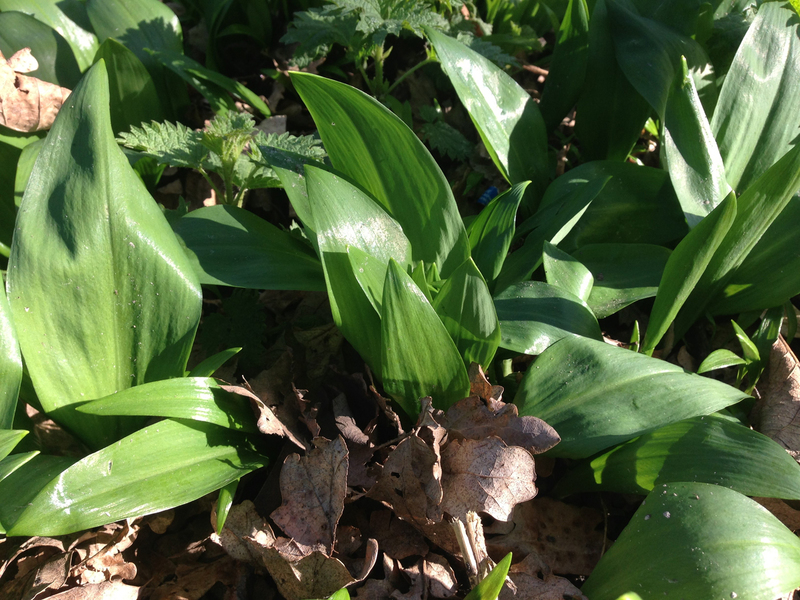 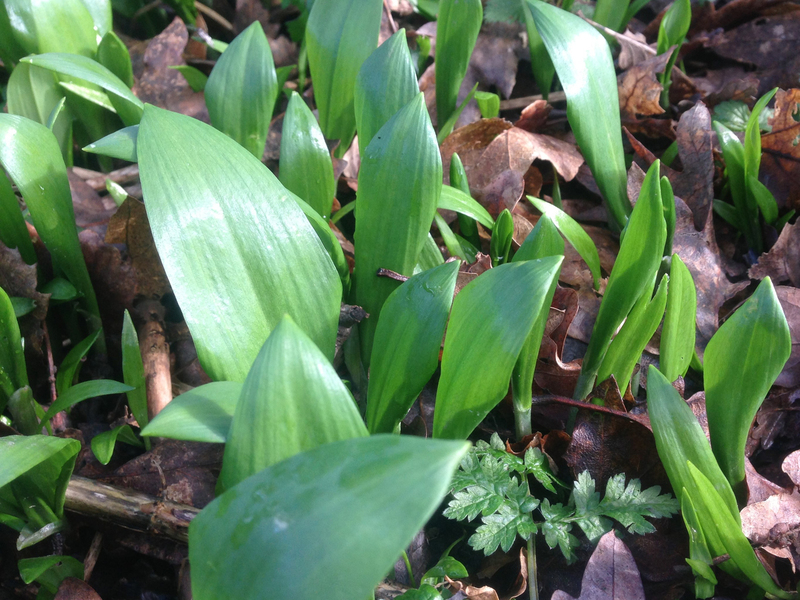 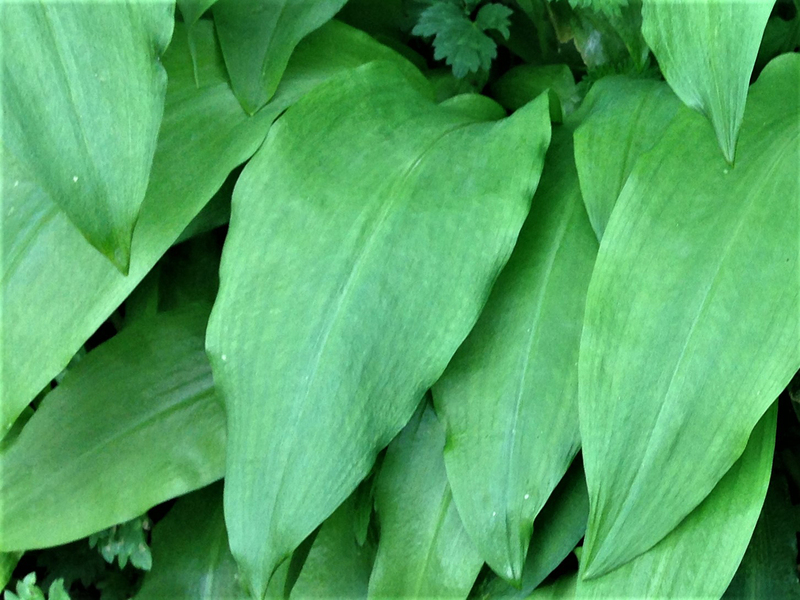 The main thing to look out for when collecting wild garlic is not to grab handfuls of the stuff but to gather each leaf individually, as Arum not only looks a similar when young but also grows where Wild Garlic grows, and any number of other nasty plants that may be lurking amoungst it. 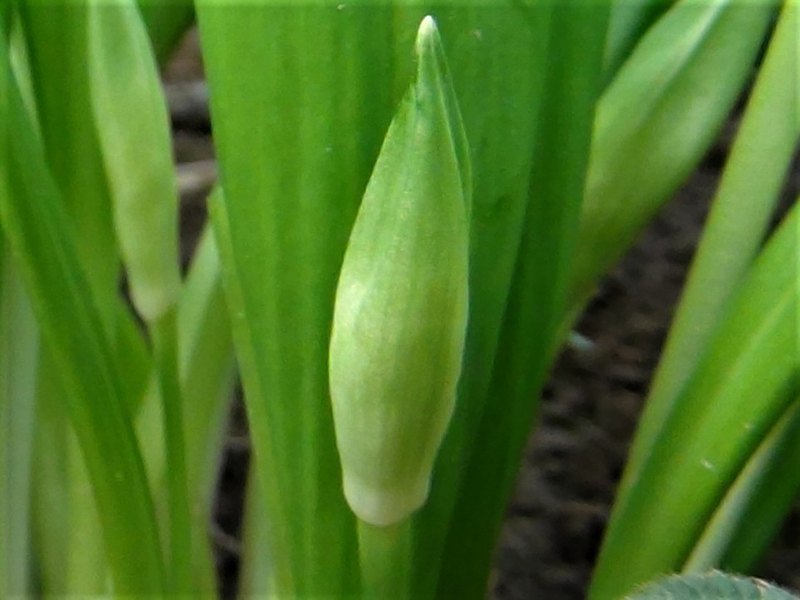 The strong and hot garlic taste is lessened by cooking and age but the really hot garlic ‘bombs’ are the flower buds and young seeds. 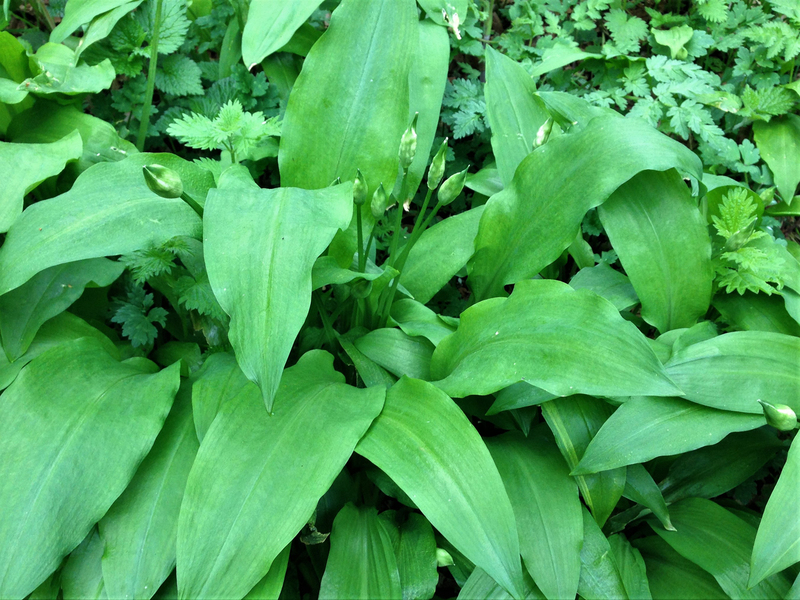 The whole plant can be used raw or cooked and can usually be found in great swathes making collecting it quick and easy but be careful not to pick up other stray leaves while gathering. 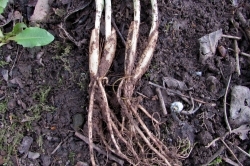 It is best to leave the roots alone as the leaves are tastier and there are no ‘bulbs’ only some small roots, rather like a spring onion. 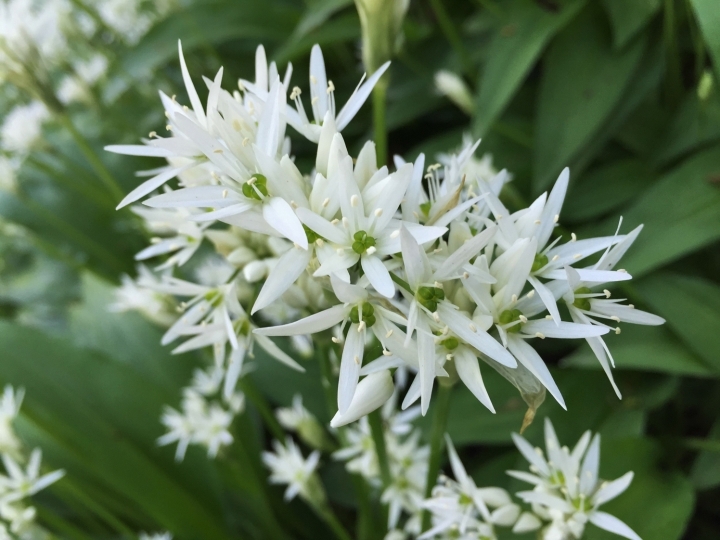 This plant is known to reduce high blood pressure and cholesterol levels and like bulb garlic has more medicinal claims than space to print them. 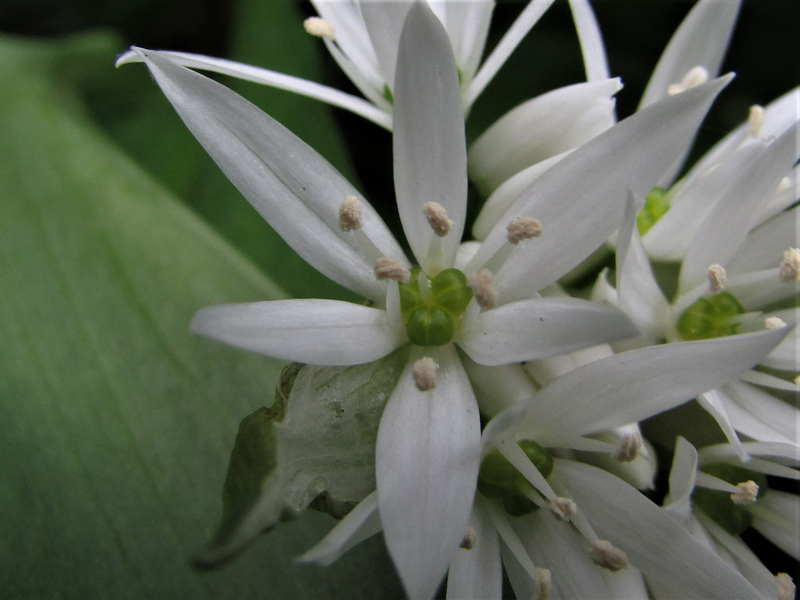 Ramsons are a wild relative of chives and are always a good sign of established woodland.